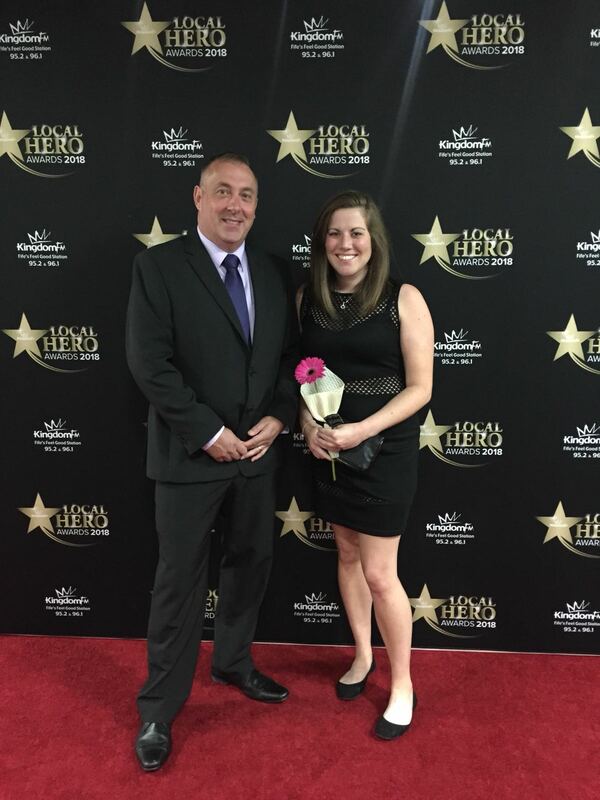 We’re thrilled to announce that we won a Kingdom FM Local Hero Award for Green Initiative on Friday. 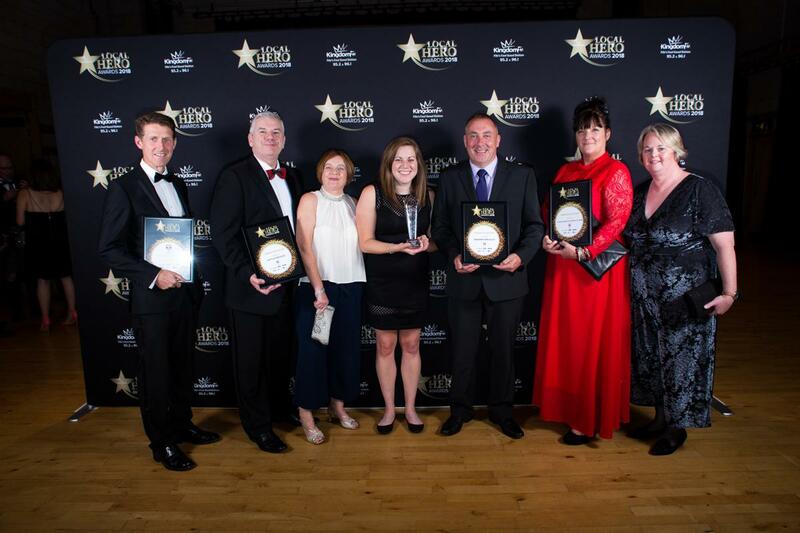 The award was sponsored by St Andrews University, and we were up against some really amazing projects from Fife Coast and Countryside Trust and Kettle Produce. This award recognises all of the hard work of our staff, volunteers, partners and community across all of our projects over the last year. 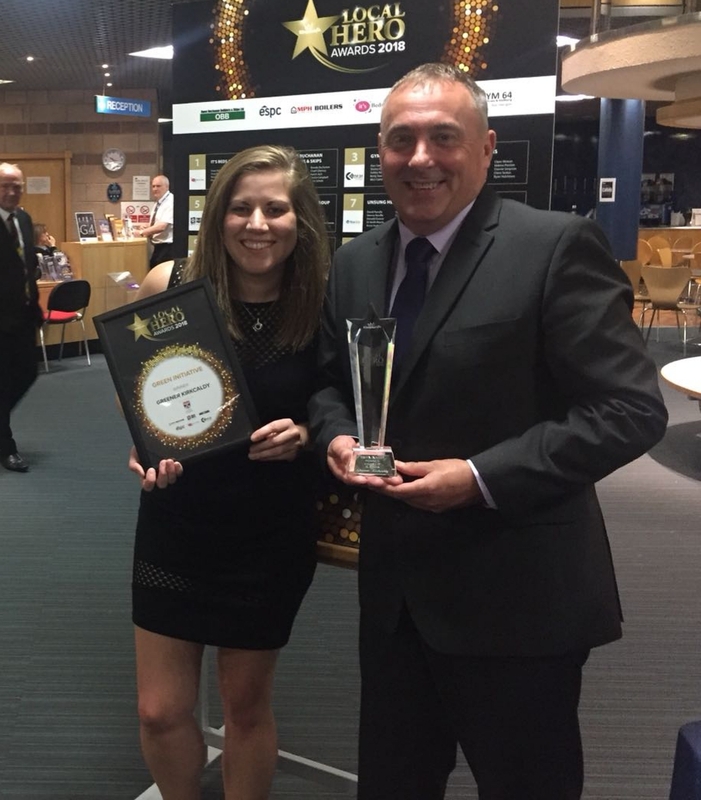 Lauren and Bruce from Greener Kirkcaldy attended the award ceremony on Friday night at Rothes Hall, which was a fantastic event, and accepted the award on behalf of Greener Kirkcaldy. You can see photos from the night, and a video showing some of our work on the Kingdom FM website. We’d like to say a big well done to Fife Coast and Countryside Trust and Kettle Produce on being shortlisted, it was great to find out more about their brilliant work. Thanks to all of our staff, volunteers, partners, supporters and community for all of your hard work and support this year, we couldn’t do what we do without you all!